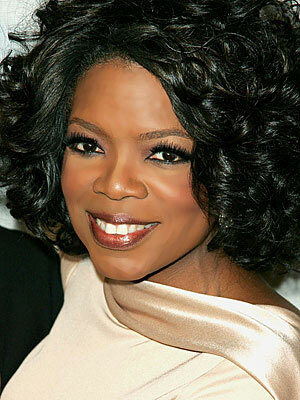 THE SPORAH MAGAZINE: YOUR NAME SPORAH DID YOU MAKE IT UP TO SOUND LIKE OPRAH OR IS YOUR ACTUAL NAME?..! Aaw..! SPARKLES MAGAZINE MEETS SPORAH NJAU..
SPARKLES: Hi Sporah I will say you such a great inspiration for young girls, tell us what motivated you to that level? Sporah: Coming to Europe from 3rd World countries, with my African back ground and seeing young women at young age with no parental guidance and allowing the societal norms to influence them against their cultures and values. Made me realise that so many young women from Black Ethnic minority grew up with low self esteems. This and other things made me think of doing something that can bring change and i thought this change can only be achieved through media. SPARKLES: Do you have a role model and who is it? Sporah: Yes i do. 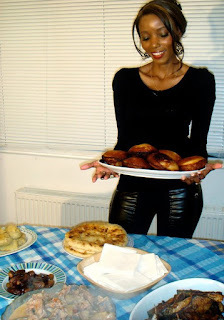 My Mum (Mama Njau). SPARKLES: What about your passion for TV how did it start? Sporah: After watching different TV talk shows, I realised how powerful TV is, and how it can influence or change people’s life especially the young generation. So I thought yeah... something is missing in my society and somebody has to do it..
SPARKLES: You are so natural and flamboyant where did you learn that? Sporah: I took time to read and understand myself what’s the best for me more than following fashion trends, and I came out with the best results which makes me what I am today. SPARKLES: And your name SPORAH did you make it up or is it your actual name? Sporah: Ah ah ah ah of course Sporah is my name. In English is Zipporah and in my language which is Swahili is Sipora. SPARKLES: What does it mean and where is it from? 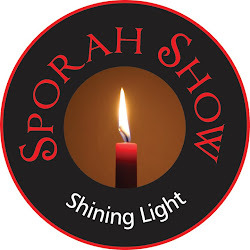 Sporah: Sporah is a Christian name coming from the Bible from Old Testament on Exodus 2: 21: “Moses agreed to stay with the man, and he gave Moses his daughter Zipporah in marriage”. Sporah: No way...Anyone who has been close to me from Africa like a good friend knows that SPORAH is my REAL PASSPORT NAME, and it has been since young age. 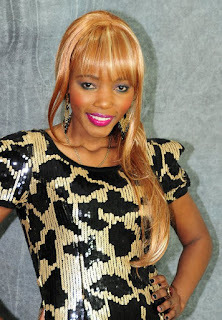 SPARKLES: Would you say that she is one of your role models or inspiration? 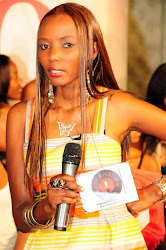 Sporah: Yes, she is one of my inspiration. SPARKLES: For a young woman you get a lot of attention for being such in a public eye. Is it a benefit or a disadvantage? Sporah: It is a benefit, because it gives me a voice. SPARKLES: What is the most important for you now as a young woman? Sporah: Education and Working hard towards my career. SPARKLES: What is your preferred type of man? Sporah: Well the answer to this question can be easy and hard at the same time… as there are some very essential qualities which almost every woman demands in a man. Because I believe it’s not easy to find a man with all the packages that i need otherwise....So I’ll give you my top 6 on the list, then the rest I can deal with it. 1. The most important to me is a sense of humour - This is the most common yet most essential demand that I want a man to have. I like to stay around a man who knows how to make me laugh and keep me amused. I believe no female likes very intense or boring males. 2. Purpose in life - To be honest, I like men who know what they want in life and have a strong path which they are following. We women always look for a man who has a vision and a strong desire to get somewhere in life. 3. Honesty and decency - I like straight forward Men, I believe women don't like being cheated on or lied to any more... So if you're a chew 'em up and spit 'em out type man, your life will be a string of one-night stands followed by a bitter spinsterhood. So.. Its time for a change same as women lets us be honesty and decency so will have a happy and health relationship. 4. Mmh!.. A gentleman of cause!!! I mean this is for all of us. Let me give a tip to my brothers out there…Women want a man who knows how to treat a lady well. I believe Women would not respect a man unless you know how to respect them. Therefore women prefer men who know how to pull chairs and open doors for them when needed. Yes I like that. 5. The next will be…. I like a man who knows how to carry himself well. 6. Last but very essential is.. Romantic - This is one ingredient all women desperately want in their men… I believe romance is the foundation of any and every relationship therefore women always demand a man who knows the true art of romance. I think i can’t say much into this…Am just praying to God to have a life in which I could fulfill both my personal life as well professional ambitions with ease. SPARKLES: What do you love apart from TV and interviewing? 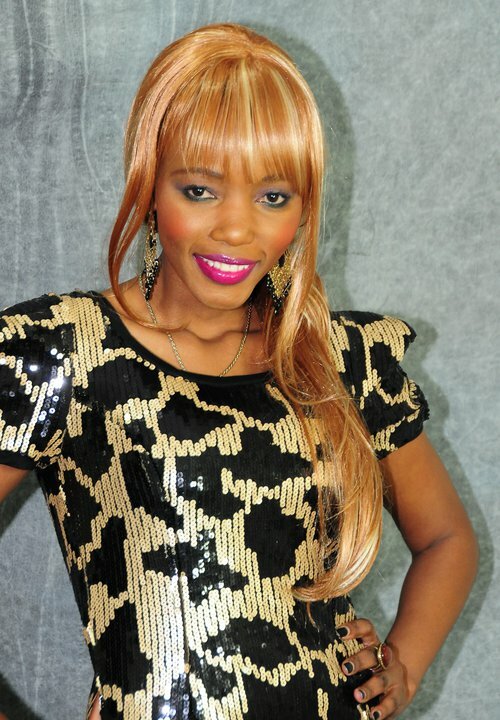 Sporah: I love Acting, Cooking (I Love Food) and Dancing. SPARKLES: What is your message to young girls? SPARKLES: What is your plan now after your education? SPARKLES: Any message for the end? Sporah: Thanks for having me.. And don’t forget to watch The Sporah Show Every Monday at 9:30pm on SKY 184 (BEN TV) And Fridays 18:pm and Saturday’s 13:pm on STAR TV in Tanzania. 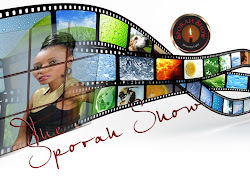 More about The Sporah Show Log on to our website www.sporah.com or www.sporahshow.com. You can also check out our Blogspot at www.thesporahshow.blogspot.com.. Or Join us on Facebook/Twitter. And finally Check out our Video’s on Youtube.